Mark Titchner presents new commissions celebrating the culture in Luton, UK (the artist's hometown) as part of the launch of a new public arts programme entitled, As You Change, So Do I. Titchner releases a free digital edition, If You Can Dream It, You Must Do It on Sedition as part of the project. Presented by Luton Culture, the three year programme, has been developed to enhance the arts and cultural infrastructure and to engage a diverse community through art in Luton, a large town located 40 km north-northwest of London. Luton Culture is a charity that supports public engagement programmes to nurture creativity in the town. As part of the programme five new commissions have been produced, including two new works by Mark Titchner. On 29 September, the new commissions will be unveiled throughout Luton with a launch event including a street festival situated next to the Hat Factory Arts Centre and a street celebration on Bute Street. The commissioned projects by Titchner are Beacon, a large scale wall-based work and If You Can Dream It, You Must Do It, a digital edition launched on Sedition. Other commissioned projects include: Culture Wall, a curated programme of video, text and image works on walls around Bute Street and Guildford Street; Storefront, an empty shop transformed into an exploratory art space, and a two-year programme of temporary billboards throughout Luton. Beacon is presented at the gable end wall of the Hat Factory Arts Centre. The centre is a highly visible focal point for local residents as well as a hub for artists. The work takes the form of a monumental light box featuring one of the artist’s trademark bold, brightly coloured slogans, proclaiming: “If You Can Dream It, You Must Do It”. 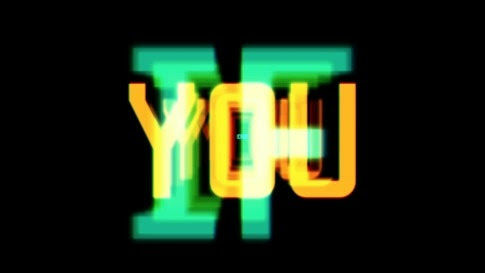 Accompanying Beacon, Titchner releases a video work titled If You Can Dream It, You Must Do It on Sedition. The work is available as a free digital edition and is the first of a series of works set to launch on the platform for the programme, which extends the notion of contemporary art in the public realm to the post-digital context. The works in As You Change, So Do I can be viewed in public spaces in Luton and on the Sedition platform from 29 September 2016. Collect your free edition from Sedition (available from 29 September).